... celebrating unapologetic individuality. When I was younger, I was bullied for trying to be my authentic self. My peers would often criticize my style for being too "extra" or "out there," and as a result, my self-confidence was shattered. For a while, I hid my pink glitter sneakers in the closet and tried to conform so I could fit in and be accepted. But as time passed, I came to realize that my style is my superpower, and I should never let anyone dull my sparkle. 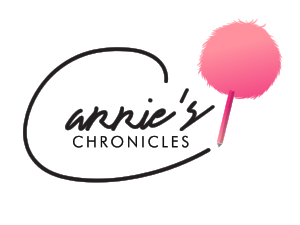 I found a way to channel the pain of bullying into something positive by creating Carrie's Chronicles, which features outfit inspiration, beauty finds, tasty treats, exclusive celebrity interviews, and Instagrammable spots. I'm proud to say I've found my voice and I'm not afraid to use it. I hope my posts inspire you to take on the world in your own one-of-a-kind way! The Carrie's Q&A section spotlights people who are doing just that: individuals boldly pursuing their dreams, making a difference, and standing up for what they believe in. My goal for every article I publish is to spark new ideas and creativity while helping you achieve your most fearless self. An NYC girl with a passion for fashion and writing, I always try to put my personal spin on things, including the latest trends rocking the runways (check out my verified Instagram feed @carrieberkk to see my daily looks). I hope this site empowers you to ignore the haters and own who you are--there's nothing more beautiful than that. Click on the logo (far left) below to learn more about the organization’s crusade ’s crusade to eradicate bullying and cyberbullying worldwide and get support if you’re being bullied. You can purchase a limited edition Carrie’s Chronicles x Fini Shoes “Your Style, Your Superpower” T-Shirt by clicking the middle image below. A percentage of proceeds from sales go to No Bully’s efforts. Click on the video image (far right) to watch a “Girls Against Bullying” PSA written by Carrie in support of No Bully, and The Kind Coalition’s #100KChooseKind campaign. Click any video above to view and subscribe to the Carrie’s Chronicles YouTube channel. Thank you for entering! If you don’t win this week, check back and try again. What I love most: The model looked like a modern day superhero in this caped jumpsuit, featuring flowing fabric from the front rather than back. Paired with a sleek ponytail and pumps in a complementary hue, the ensemble stunned from head to toe. Provide your email address to receive news and updates. To sign up you must be at least 13 years old.